Allergy skin prick test is done to identify different allergens to which an individual is sensitised to, like pollens, molds(fungi), house dust mites, insects, pets, foods, etc. SPT offers both qualitative and quantitative measure of an allergy activity in an individual. It is fairly safe, reliable, rapid and cost-effective procedure which yields valuable information for management of allergic ailments like allergic rhinitis, bronchial asthma, allergic conjunctivitis, skin allergies, etc. 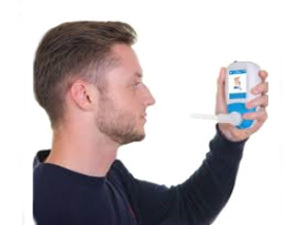 PFT or Lungs Function Test is a very crucial diagnostic tool useful for diagnosing majority of the chest disorders like asthma, COPD, IPF, chronic cough, etc. It is also used in pre-employment fitness evaluation, occupation related and smoking related lung diseases. PFT done periodically can tell you about the progress of the disease process or the quantum of improvement. 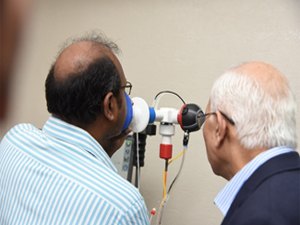 At ‘Chest and Allergy Clinic’ to minimise the chances of testing errors, PFT (spirometry) is done by well trained technicians under the direct supervision of chest specialist doctor. Lung diffusion testing measures how well the lungs exchange gases. This is an important part of lung testing, because the major function of the lungs is to allow oxygen to "diffuse" or pass into the blood from the lungs, and to allow carbon dioxide to "diffuse" from the blood into the lungs. Abnormal results mean that gases do not move normally across the lung tissues into the blood vessels. This may be due to lung diseases such as, COPD, Interstitial fibrosis, Pulmonary embolism, Pulmonary hypertension, Sarcoidosis, Asthma, etc. Fractional exhaled nitric oxide (FeNO) is a surrogate marker of eosinophilic airway inflammation and good predictor of corticosteroid response. Measurement of FeNO in exhaled breath is a quantitative, noninvasive, simple, and safe method of measuring airway inflammation that provides a complementary tool to other ways of assessing airways disease, including ASTHMA. 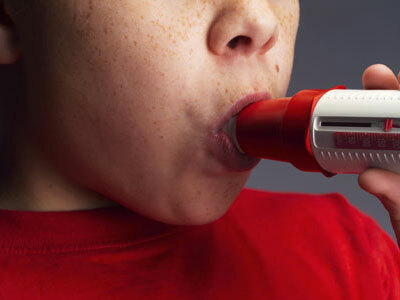 The American Thoracic Society (ATS) strongly recommends the use of FeNO measurement to aid in the assessment, management, and long-term monitoring of asthma. We are one of the very few centers in Mumbai having this investigative modality. 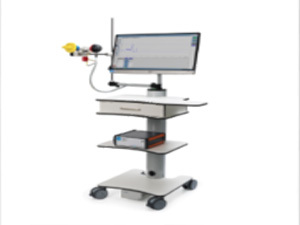 Measuring Airway Resistance by ROCC module through the interrupter technique can represent a good alternative to body plethysmography. The patient is just required to breathe spontaneously through a mouthpiece while an occlusion valve interrupts the airflow for 100 msec. The occlusion is virtually imperceptible to the patient, but long enough to allow the instantaneous measurement of the pressure at the mouth, back extrapolate the alveolar pressure and thus calculate the airway resistance. The interrupter technique is based on the principle that the alveolar pressure (Pa) is closely linked to the pressure at the mouth (Pm) during a transient airflow interruption. Broncho-dilator tests may also be performed. This technique has been proved to be highly reproducible and correlated well against the “Gold Standard” body plethysmography. The 6-minute walk test (6MWT) is safe, easy to administer, well tolerated, and it reflects the activities of daily living. At CAAC the 6MWT is performed as per the guidelines issued by The American Thoracic Society. In 6MWT the primary measurement is 6-min walk distance (6MWD), but data is also collected about the patient's blood oxygen saturation and perception of dyspnea during exertion. Desaturation during a 6MWT is an important prognostic indicator for patients with interstitial lung disease. The 6MWT is sensitive to commonly used therapies in chronic obstructive pulmonary disease. 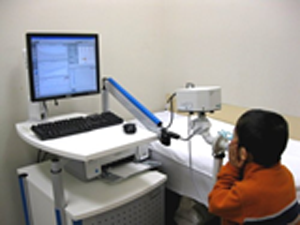 Rhinomanometry is a diagnostic tool to objectively evaluate the respiratory function of the nose. It measures pressure and flow during normal inspiration and expiration through the nose. Increased pressure during respiration is a result of increased resistance to airflow through nasal passages (nasal blockage), while increased flow is related to better patency. Nasal obstruction leads to increased values of nasal resistance. When the measurements are performed before and after the application of a nasal decongestant, the differences in resistance can be attributed to nasal mucosal congestion. If there is no significant improvement after decongestant, anatomical abnormality, like deformity of cartilage or bone within nasal cavity is suspected. It can also be used to check impact of treatments, like nasal steroid sprays, on objective nasal blockage. PICO is a breath CO monitor and tester which measures the small amounts of CO in exhaled breath. The more you smoke or are exposed to air Pollution, the higher your CO reading will be. The reading is given in ppm, which is the number of CO molecules in a million parts of air. The ppm reading also reflects how much CO is in the blood (the %COHb) reading). %COHb is the percentage of red blood cells carrying CO instead of oxygen. A valuable tool to assess smoking and pollution related affection of gas exchange. There is a lot of attention being given to sleep medicine nowadays. With the sedentary lifestyle and growing problem of obesity, sleep disorders have been on a rise. Untreated sleep disorders have been linked to hypertension, heart disease, stroke, depression, diabetes and other chronic diseases. 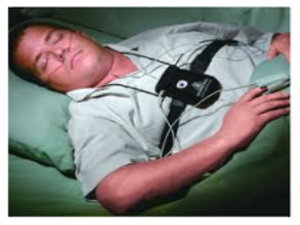 Sleep study helps in diagnosing various types of sleep disorders including sleep apnea. It is indicated in patients who complain of snoring, daytime sleepiness, excessive fatigue as a result of fragmented sleep. Noninvasive ventilation, such as CPAP or BiPAP is used in patients with sleep disorders like sleep apnea, severe stable COPD and the obesity-hypoventilation syndrome. BiPAP is also indicated for patients who have chronic respiratory insufficiency or respiratory failure and can no longer breathe adequately on their own. 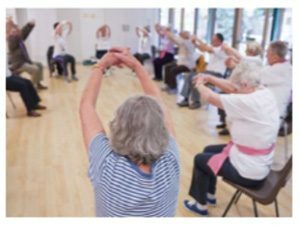 Pulmonary rehabilitation programme aims at improving the quality of life of a chronically ill patient who often finds it difficult to carry out even the daily life activities. The Programme includes exercise training, , nutritional counselling, meditation, yogasanas and other capacity improving & energy conserving techniques. Pulse oximetry is a simple non-invasive method of monitoring the oxygen saturation of haemoglobin in blood, which in most cases reflects the gas exchanging capabilities of the respiratory system. Testing is provided complementary to every patient at every visit. Peakflometer is a simple device to monitor the progress of airway diseases like asthma & COPD. It is an important tool to upscale or downscale the ongoing medication and patients are encouraged to use it regularly on their own.